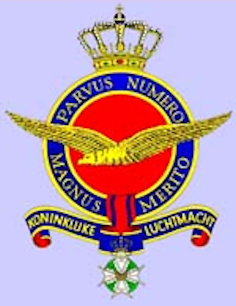 This site, which is a personal project,is dedicated to the Dutch military aviation. 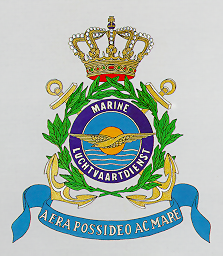 Its aim is to provide information about all aircraft types used or still in use by the Dutch military. Further modelling information is added, such as available models, their reviews, available modelling add-on, decals and also the colours applied to the aircraft. At nimh-beeldbank.defensie.nl many old photos are online available with the possibility to enclose them on a website. I use this possibility to show you some examples and, if possible, some details. Besides some photo's of my own scale models, also several photo's of my fellow modellers Peter Banis and Adri Kleijn, are added to this websites. The colour profiles on this site are primarily meant for illustration purposes rather than reflecting the real thing. You will understand that this is a project which will take many, many years and will rarely be complete. The site will be updated on an irregular basis. In case you have remarks, need some kind of information or even a colour scheme or would like to have something added, don't hesitate and contact me via my Contact page. I hope you enjoy your visit to this site!